The Synchronous Junction Unit (SJU) is a high performance expansion I/O module that works in conjunction with the Central Logger Unit (CLU) to provide highly synchronous and precision logging of distributed high speed analogue and digital inputs. 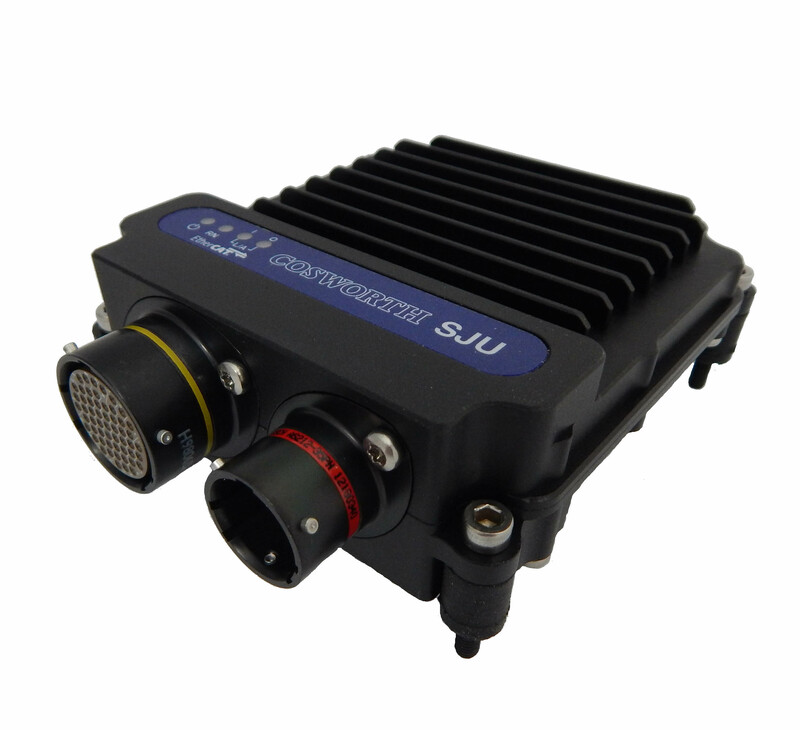 Perfect for advanced chassis and suspension analysis, SJU’s offer the flexibility of locating the acquisition close to sensors, reducing the weight and complexity of wiring. Up to 5 SJU devices can be connected and synchronised together using a single EtherCAT™ network. EtherCAT™ ensures that every SJU in the system samples its high resolution inputs at exactly the same point in time, critical when analysing the relationship between signals collected from different sensors around the vehicle. The SJU supports many different types of sensors, including amplified strain gauges, linear potentiometers, PT100, PT1000, hall effect, VRS and DF11i wheel speed sensors. High power sensors or low power actuators can be powered from any of the 6 PWM capable HSD outputs.